This recommendation from the famous artist hits the nail on the head. Hiking around Rothenburg is the perfect way to let its enchantment unfold! Rothenburg has a wonderful network of hiking routes that is unusually dense and exceptionally beautiful. 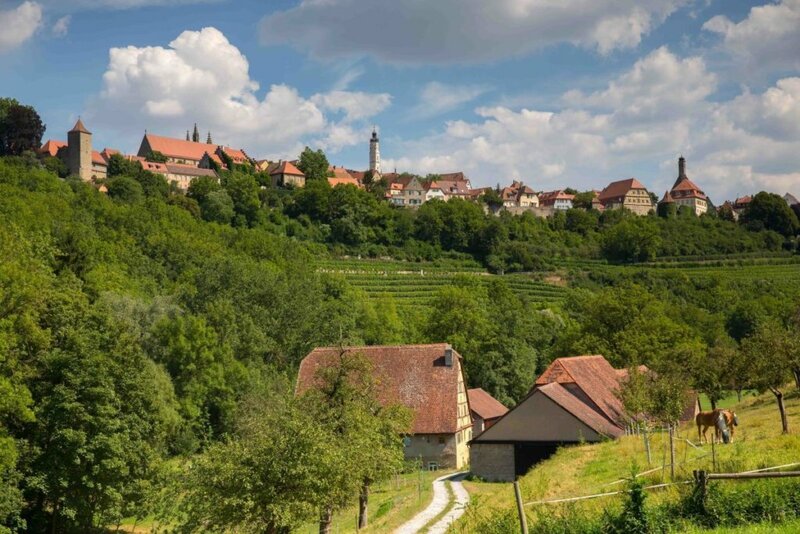 Thirteen signposted and maintained hiking routes invite you to explore the medieval city and the vast surrounding area of the former “Landhege” around Rothenburg. It’s time to set off! 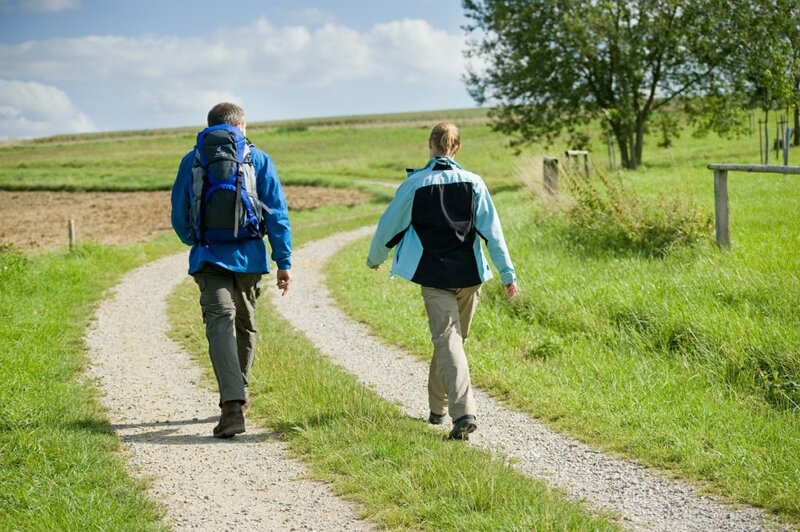 The Rothenburg Hiking Weeks each year in spring and fall offer active relaxation in the heart of nature – from guided hikes to a variety of events, there really is something for everyone. Every hike revolves around an interesting subject and is led by one of our experienced hiking guides who provides lots of insider knowledge. By the way: All of our hikes are free! The final stop is the perfect opportunity to chat with others and to meet other hiking enthusiasts from near and far. Free and without obligation, everyone meets on Wednesday (excluding national holidays) at the fountain on the Marktplatz at 2 p.m. Hike the immediate surroundings of the city alongside an experienced hiking guide. The approximately two-hour hike is a treasure trove of information about Rothenburg! 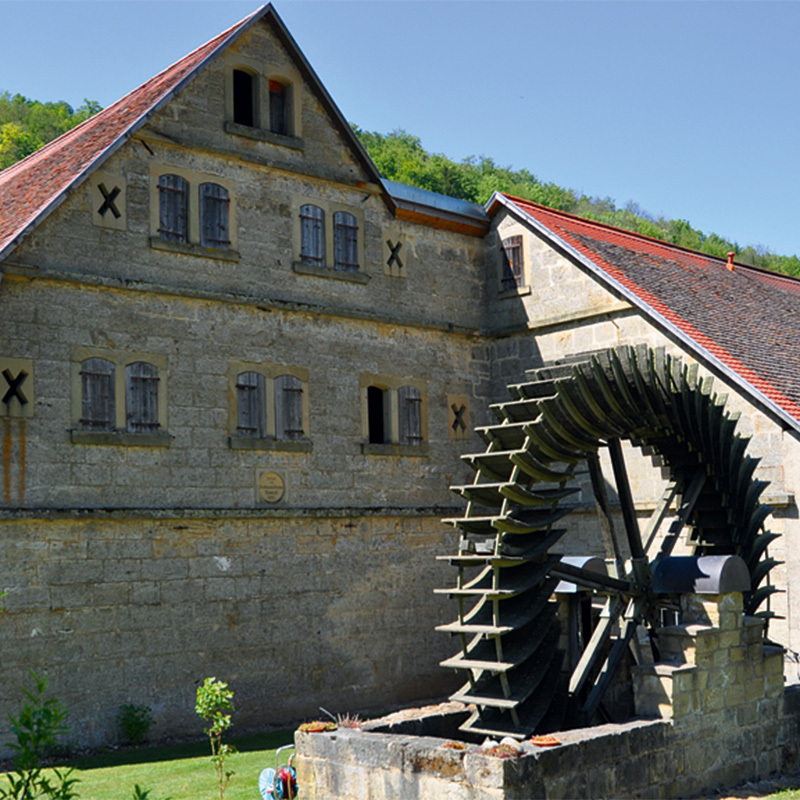 The “Of Mills and Millers” hike is a wonderful guided tour through the Tauber valley, which is richly populated with mills. The hike’s focus includes millers, milling technology, the development of the cultural area, and naturally a walk through the history of the city. Starting at the city center, you will hike out into the Tauber valley, which has one of Germany’s highest densities of mills. Unparalleled sights and views impressively communicate the use of water power from the Middle Ages to the present. Shorter tours available on request. While hiking through Rothenburg’s hiking paradise, your guide shares news and gossip and entertainingly explains the historical and cultural highlights of the area. Hiking routes include the Panorama Route, the Nature Climb in Schandtaubertal, and the Bettenfeld Path. Rate on request, for groups and individuals. Take the Church Hike to the Rothenburg’s and Detwang’s most beautiful churches. Meeting point: St James’. Hike to the Franciscan Church, the Church of St Peter and Paul in the valley and back to St James’ Church. Alongside tourists, there have always been pilgrims making their way from all over Europe to the Franconian Jerusalem, as Rothenburg is often called, and the number of them continues to increase. The city not only lies on a crossroad of well-known tourist routes called the “Romantics Road” and “Castle Road”, it is also a central juncture of many European pilgrim trails. 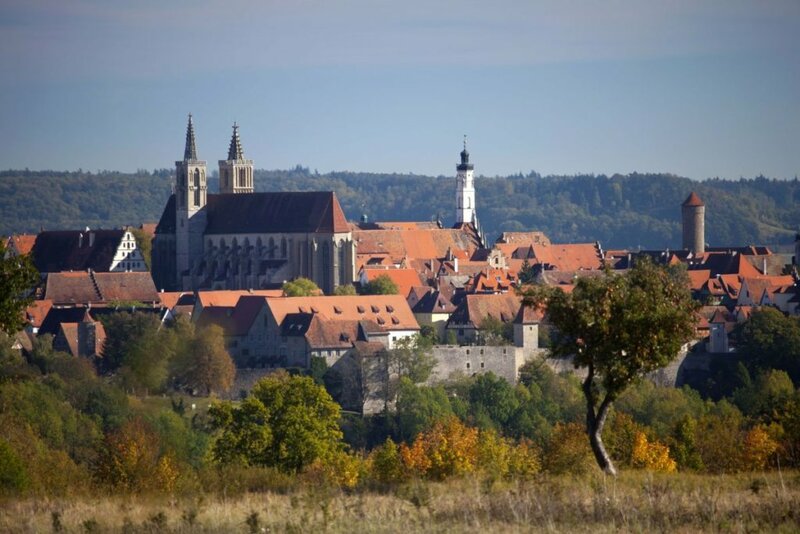 In addition to the Via Romea, an ancient pilgrim trail based on the route of Abbot Albert von Stade, who made the pilgrimage from Stade on the north German coast to Rome in the thirteenth century, there are also six Ways of Saint James that meet in Rothenburg. One of the most important Middle Franconia St James Ways leads from Nuremburg to Rothenburg. It is not only the oldest St James Way in Germany, it also partially runs alongside one of the most used trade routes from Eastern to West Europe that has been used since the Middle Ages. Even today, pilgrims traveling from Eastern Europe, such as Poland and especially the Czech Republic, travel a main route that goes via Prague to Nuremburg, where it flows into the Middle Franconian St James Way to Rothenburg. From there, important long-distance routes lead to Switzerland, such as the Franconian- Swabian St James Way that has been part of an important north-south connection since the distant past. There are also routes towards France, such as the St James Way from Rothenburg to Speyer, that splits into two main routes in France towards Metz and Strasburg. Or you choose a route to the south to reach France by following the St James Way from Rothenburg to Rottenburg am Neckar, which takes you over Freiburg to Mulhouse. The St James Way from Erfurt via Bamberg also leads you to Rothenburg. There is also the lesser known but even more picturesque St James Way Odenwald-Aschaffenburg-Rothenburg that winds past the banks of the Main and via beautiful valleys.